Gift baskets are a wonderful option for just about any occasion and knowing how to choose the right basket can make a huge difference. Here are seven tips that can help you discover just what you need to do to find the right gift baskets for any occasion. Holiday Gift Baskets – holiday baskets are a huge draw and knowing what holiday you are shopping for can make a difference in what basket you choose. While shopping online for the holidays, you will find an array of beautiful themed baskets depending on which season you are buying gifts for. The Bountiful Basket for example is just one of the many beautifully handmade basket brimming with fresh fruits and gourmet treats. Edibles in Your Basket – what’s in the gift basket is as important as the unique basket you choose, so consider what types of fruits and gourmet foods your recipient enjoys, as well as any allergies. If looking for edible fruit baskets, you will find a wide array of orchard fresh fruits depending on the season. Hale Groves will help you choose the right farm-fresh fruits basket. Family or Singles – another factor to keep in mind is how many people are going to be eating or enjoying your basket. If you are shopping for one person your basket is going to be considerably smaller. For those that have a larger recipient family in mind, your basket size will be larger and possibly offering an assortment of citrus fruits and treats for example. Box or basket – the shape of your container can also make a huge difference in what you are sending. Smaller boxes may not be able to hold the large mounds of fruit that are so common in fruit baskets. Hence, you may have to opt for selecting more carefully to be right in point for your recipient. Some boxes do offer some gourmet goodies in addition to the fruit, which can be perfect if you want to send a gift box. Holiday gift boxes are a great option for those that want something fast and thoughtful. Help that special someone in your life cherish every relaxing moment they can get. 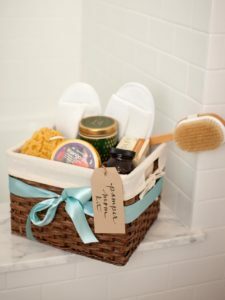 This is an especially great spa gift basket for an expectant mom in her final weeks of pregnancy or first months of motherhood. Start building your kit with a couple of easy-to-find spa basics: a plush white towel and a pair of waffle knit slippers. A bar of gently exfoliating soap paired with a soft-bristled shower brush are great for giving a super clean feeling in the bath or shower. Body butters feel great and can also be used to prevent and treat stretch marks, so a mango body butter will make a perfect addition if you’re creating a baby shower gift kit. Natural sponges are a great choice since this is something mom can enjoy alone or (eventually) together with baby! What spa experience would be complete without playing to one’s sense of smell? A scented candle and pretty matchbook will add a luxurious touch to your pamper kit. A sore muscle soak purchased from a local organic spa is sure to provide a heavenly escape for any tired new mom or mom-to-be. This item might be substituted with bubble bath or any sort of soothing bath additive. Tucking all the products in over the towel, your spa basket should really start to come together. Finally, use a simple shipping tag and luxe colored ribbon to finish off the kit. Looking for gift ideas for those hard-to-shop-for people on your list? 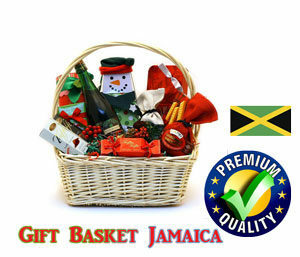 Wrap their favorite treats in a basket, this is all provided by Gift Basket Jamaica. What better way to celebrate the holidays than with a mug of steamy hot chocolate? Whether it is to warm up after a day of winter activities or to take along as you view the holiday lights, hot chocolate is a holiday must. Mugs, paper to-go cups, yummy varieties of hot chocolate, marshmallows, candy canes and stir sticks are perfect items to include in this gift basket. One of the best ways to show someone how much you care is to let them subtly know that you put a lot of thought into their . Just by being here, I already know you care quite a lot, and that’s wonderful! Not all of us are that creative though, so we require a bit of inspiration to get going. If you aren’t sure yet what you should get your loved ones or you need help pairing items together, you’re in good hands. Here are some of the best gift baskets bloggers have to offer. 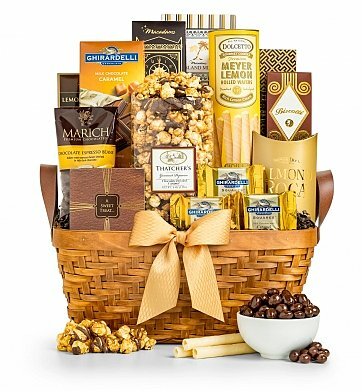 Show your true appreciation with this impressive Thank You taste sensation Fruit Gift Basket This handsome walnut stained wicker & rope basket is fabric lined, tied with a Thank You ribbon and filled with fresh fruit, nuts, snacks, chocolate and other candies. 1. Birthdays: The season’s freshest fruit makes a delightful and lasting birthday gift. 2. Anniversaries: Hale Groves’ fresh fruit baskets are a surprising and caring way to show that you remembered a wedding anniversary. 3. New Home: Send the very best in freshness and flavor with a fresh fruit gift from Hale Groves to celebrate a housewarming. 4. Surprise Gift: A gift basket of Florida sunshine will make anyone’s day brighter, especially as a sweet surprise. 5. New Job: Show your excitement for a friend or family member when they get a new job with the sunniest bright fruit gift from Florida. 6. Graduation: Florida fruit gift baskets are a unique, welcome gift for graduation presents. 7. Holidays: Fresh fruit and gourmet treats from Hale Groves are an ideal gift for any holiday of the year. Hale Groves offers fresh gifts tailored to every major holiday. fresh fruit gifts from Hale Groves. 9. Get well: Brighten the day of a sick friend or loved one with the finest quality fresh fruit gift baskets from Hale Groves. 10. Thank you: Grove fruit baskets are an incredibly thoughtful way to say thank you to teachers, co-workers, friends or loved ones. Jamaica Gift baskets can sometimes get a bad rap. Traditionally, they were given by old-timey office workers to their clients. We yawn thinking about it. In recent years, the standard Christmas gift basket has been reinvented. Sure, you can choose some classic fruit options, but now you can toss in some bottles of wine, experience chocolate covered everything, and find some great options that even the kids will love. Check out our favorite gift basket ideas below. 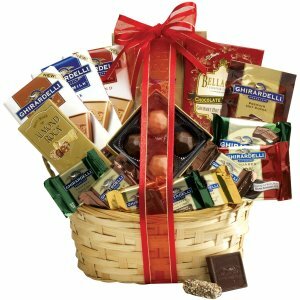 Good times turn great with our Chocolate Celebrations Gift Basket. Whether you’re sending to a graduate far away or sharing with friends at home, the sumptuous selection will make everyone happy. Features two Gold Gift Boxes with our famed milk, dark, and white chocolates with classic Belgian fillings like silky ganaches, creamy pralines, rich caramels, fruits, and nuts. Also inside: our Signature Truffles; Individually Wrapped Dark Chocolate Caramels and Milk Chocolate Truffles, plus one small and one large Milk Chocolate Bar. Tied with a classic brown ribbon. Set the gold standard in generosity with this classic woven gift basket filled with impressive gourmet fare, creating a perfect holiday gift for the gourmand in your life. Chocolate Drizzled Caramel Popcorn, Lemon Dolcetto Wafers. Ghirardelli Caramel Milk Chocolates, Oatmeal Tea Cookies. Almond Roca, Marich Chocolate Espresso Beans and more. Consider creating gift baskets related to local and regional foods, restaurants and gourmet foods. Local and regional favorites work well for general gifts. Advertise gift baskets featuring local and regional favorites with local visitor centers and tourist attractions. 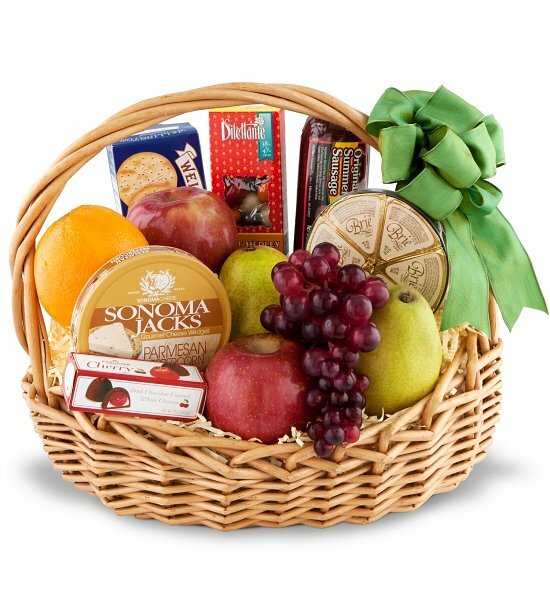 Gourmet foods, including cheese, crackers and sausage, provide a good option for employee and client gifts. Include various cracker, spread and cheese options for customizable gift baskets. Baskets filled with desserts, such as cookies and brownies, provide customers with a sweet gift choice. Create a gift basket based around a picnic. Use a picnic basket containing a blanket, wine, wine glasses and a wide selection of fruits and cheeses for a romantic gift choice. A gift basket business allows creative individuals an opportunity to flex the creative side of their brain while juggling the typical tasks associated with running any business, including marketing and sales. Developing and marketing gift baskets that fulfill everyday needs while addressing special niche opportunities can help fuel the growth of your gift basket business. Marketing gift baskets to local businesses and regional employers opens up a host of options for sales and gift basket development. Consider packaging gift baskets that include merchandise with company logos, brands and products. This works well for general client gifts and giveaways. Gift baskets focused on thanking an employee for a job well done, recognizing years of service or congratulating an employee on retirement can help corporations reward their employees and provide you with additional sales. Fill baskets with service award items, including plaques, motivational items and crystal awards. Add snacks such as chocolate, nuts and fruit for filler. Other corporate ideas include baskets featuring a theme, such as a day at the beach, a golf course or an area attraction. Include gift certificates for attractions and use complementary items to complete the basket. This can include sunglasses, sunscreen, disposable camera and sport items such as a Frisbee or golf tees. Common reasons for the purchase of gift baskets include holidays, birthdays and other celebrations. Holiday gift baskets should celebrate the season. For instance, Valentine’s Day gift baskets can feature a stuffed bear, champagne and chocolates. Keep all age groups and demographics in mind when creating a basket. Baskets featuring a sports theme make appropriate gifts for a variety of occasions. Include tickets to a local event for added customization. Assemble baskets that let the recipient become the chef. Cake and cookie mixes, dessert decorations, marinades and rubs can be placed in a gift basket to satisfy a wide range of tastes. 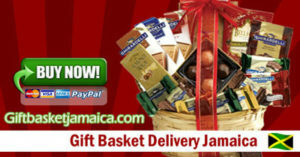 Market gift baskets with wide appeal to a larger audience, perhaps online or with a retail store front.